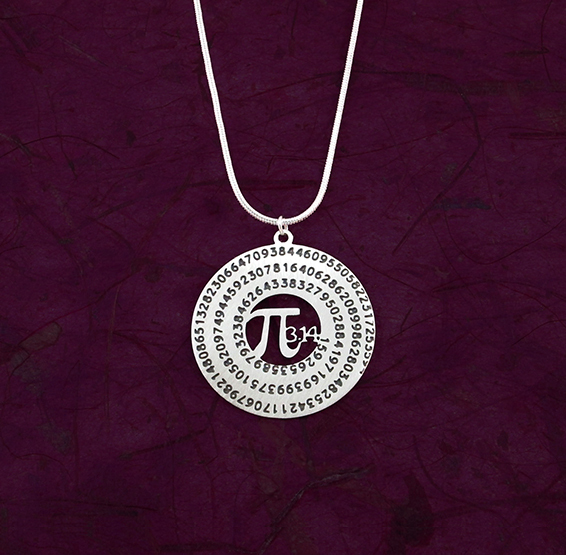 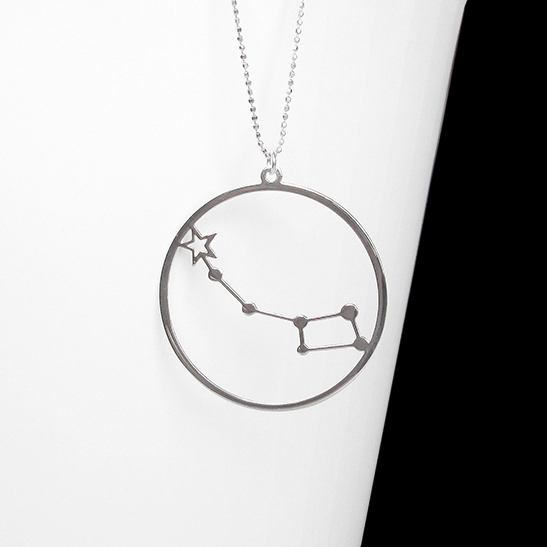 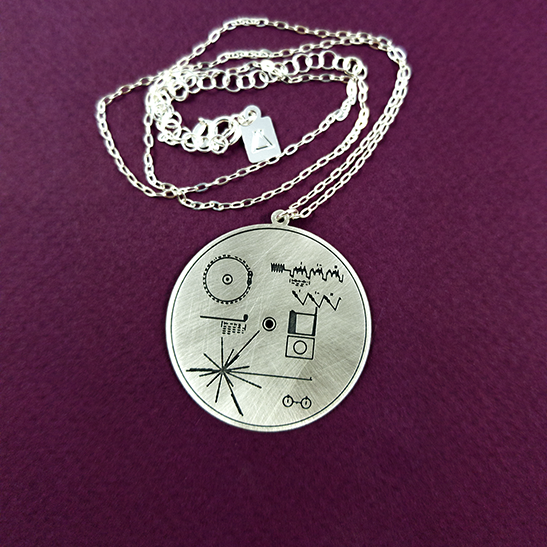 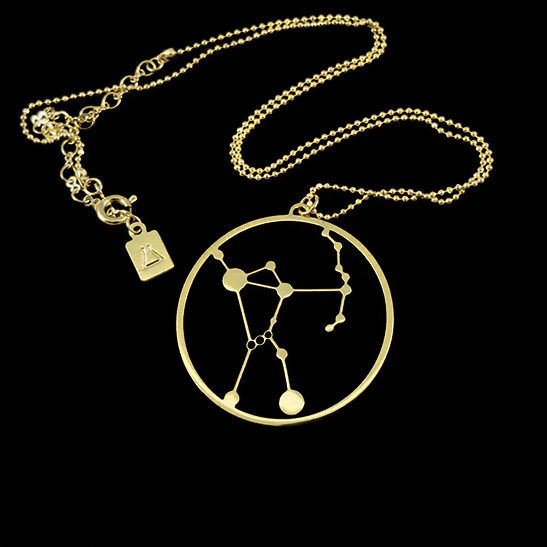 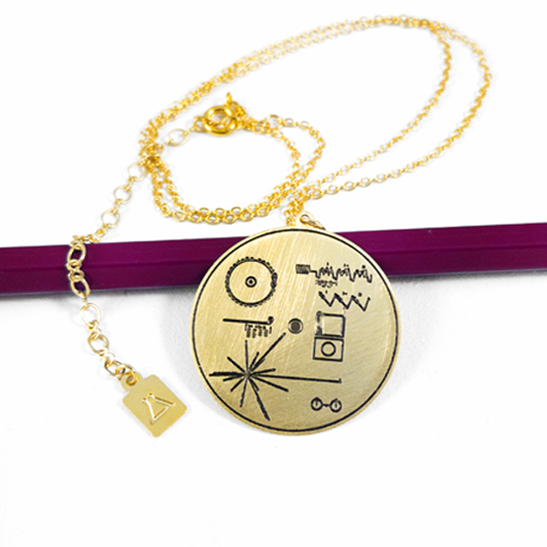 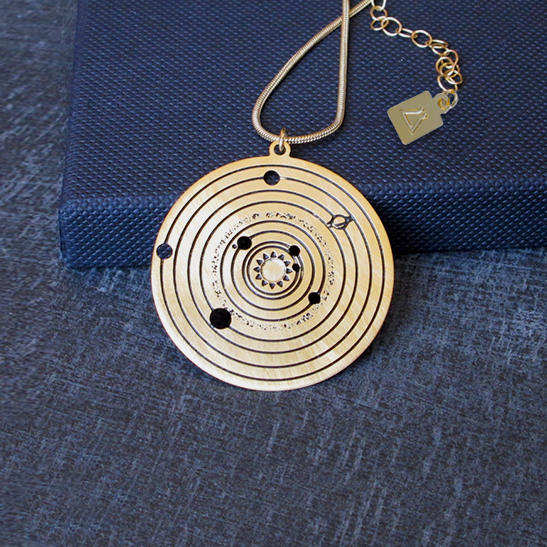 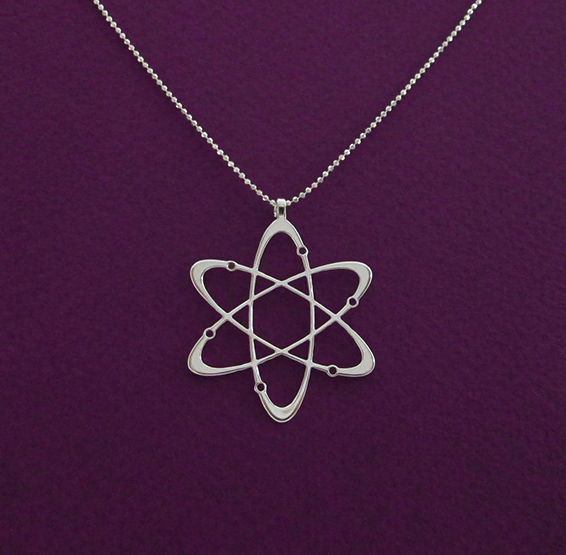 NASA necklace is great as a science gift for all the astronomy and astrophysics geeks out there. 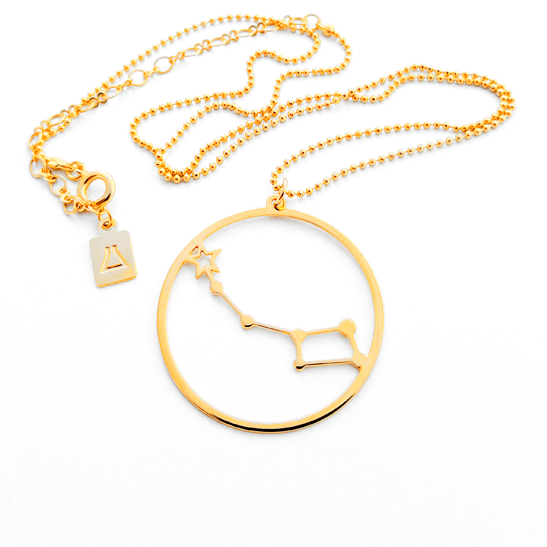 24 Karat gold plated pendant: Approx 1.4" X 1" (3.6cm X 2.5cm) includes 24 Karat gold plated chain. 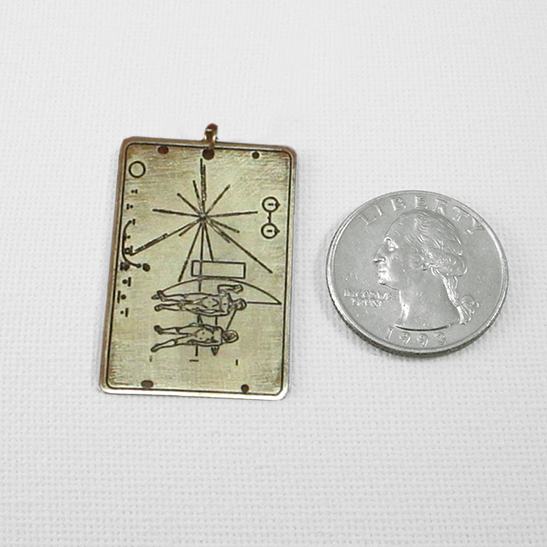 The pendant comes in a scratched semi matte finish. 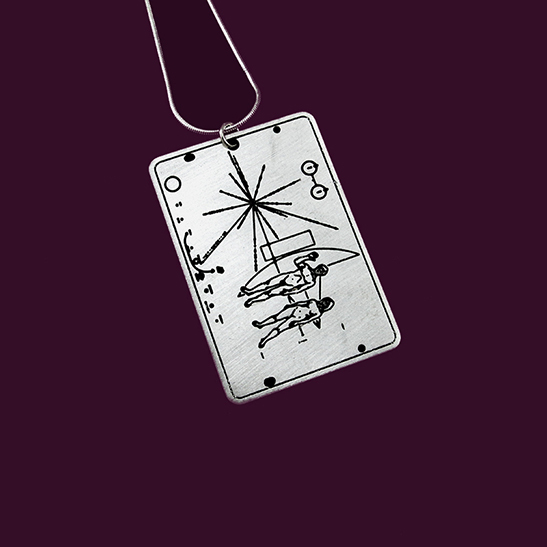 The Pioneer plaque is a message from mankind to intelligent aliens, which was sent to outer space, beyond our solar system, by NASA ‘s Pioneer spacecrafts (10 and 11). 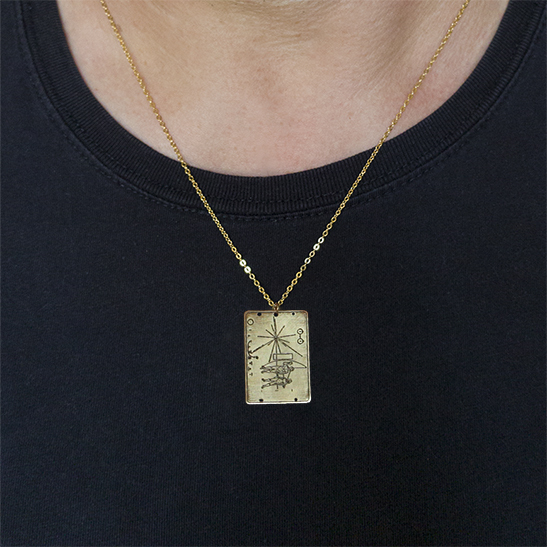 The plaque was originally made of gold-anodizes aluminium, and here you can have it with 24 Karat gold plating. 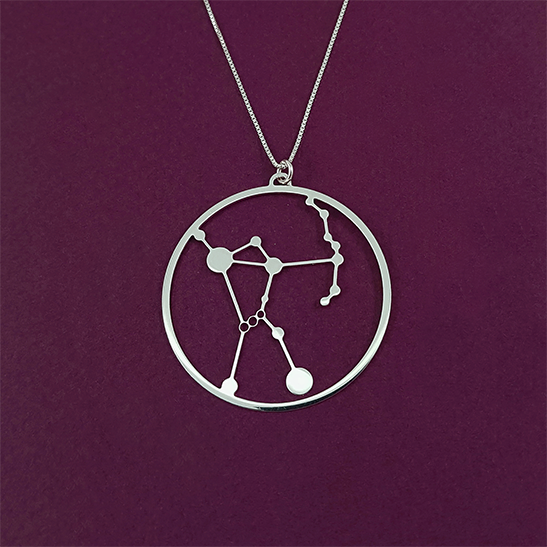 Great as a science gift for all the astronomy and astrophysics geeks out there. 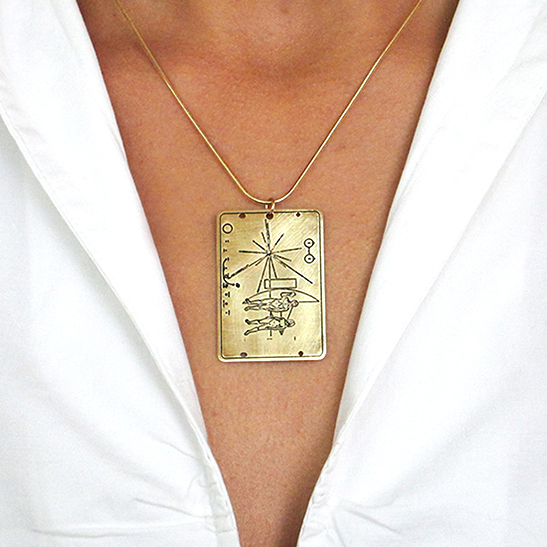 24 Karat gold plated pendant: Approx 1.4″ X 1″ (3.6cm X 2.5cm) includes 24 Karat gold plated chain. 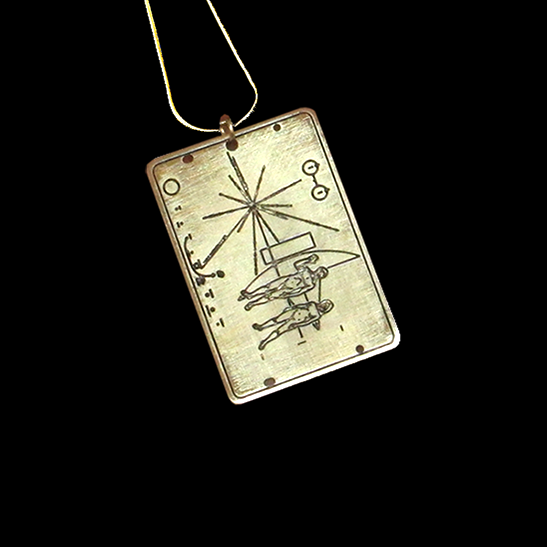 The pendant comes in a rough and scratched semi matte finish.